Awards - Women's Enterprise Skills Training of Windsor Inc. Throughout the years, Women’s Enterprise Skills Training of Windsor Inc. (WEST), has been recognized locally, nationally, and internationally for excellence in service delivery and community service. WEST is proud of our accomplishments and continues to be committed and dedicated to ensuring our services, community engagement and partnerships reflect our mission, mandate and vision as well as, benefit the Windsor-Essex community. The award presented by Place du Partage for your contributions and support for the organization. The award pays tribute to its Leaders, Staff, Clients and Volunteers, for their dedication and commitment to helping those in need, and to improving community life. The award presented by the Multicultural Council of Windsor and Essex County, recognizing 40 community partners. The CMA Canada National Recognition Award is presented to a group, company or institution that has made a significant contribution to the overall development of CMA Canada’s growth and specifically to the discipline of management accounting. The Windsor and District Black Coalition (WDBC) Executives has chosen WEST to receive their special 50th Anniversary Community Service Award. The Multicultural Council of Windsor and Essex County presented the Herb Gray Harmony Award to WEST as a non-profit organization that promotes a harmonious, multicultural society assisting newcomers achieve full participation in Canadian society and to build a more inclusive society by empowering women in vulnerable situations to improve their employability and fully integrate into the community. Proclamation from Mayor and Council acknowledging the organization’s role in partnership with CanElsa International and Ten Thousand Villages in organizing the “Day of Microcredit 2005” information session to inform women about micro-enterprise as a means to increase the economic independence and self-sufficiency with the goal of eliminating poverty through the establishment of micro-businesses. 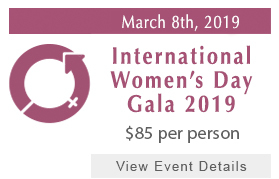 Executive Women International, Detroit-Windsor Chapter, Philanthropic Award, selected WEST as an organization which exemplifies goals which supports literacy and educational opportunities for women in transitional period in their lives. Windsor Essex Non Profit Excellence Award, acknowledged the proven record of excellence in governance and administration and for setting and maintaining high standards of accountability and professionalism, given by the Windsor Essex Non Profit Support Network. This national award of the Imagine Program of the Canadian Centre for Philanthropy recognized the long standing community – corporate partnership in which WEST has worked together with the Canadian Imperial Bank of Commerce to meet local needs of unemployed women to fully participate in the Canadian labour market and local economy.